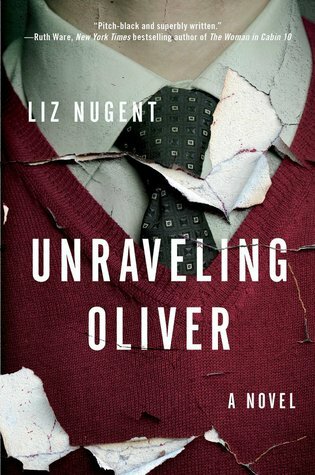 With its alternating points of view and deft prose, Unraveling Oliver is “a page-turning, one-sitting read from a brand new master of psychological suspense” (Sunday Independent) that details how an ordinary man can transform into a sociopath. 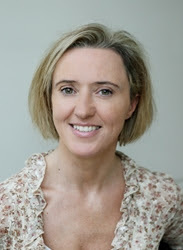 Liz Nugent has worked in Irish film, theater, and television for most of her adult life. She is an award-winning writer of radio and television drama and has written critically acclaimed short stories both for children and adults. She lives in Dublin. That is what I am reminded of while reading this incredible story. How people, places and events seem somehow interconnected. I'm so glad I read this story! It was a twisty-turny tale that kept flowing until it concluded. It has some gruesome moments, I can't lie about that, but those moments had to be there. They added that needed depth to the moment. It was filled with mystery too. You thought you had an idea of what was happening and then it was something all together different. I liked that immensely. I liked the somewhat opening ending too. You kinda know what happens, but you still have a little to imagine with. A lot of you will love this book. Not like it, love it. Just like me! **Compensation may be earned from the links within. This copy was provided to facilitate a review. Opinions are owned by Freda's Voice. Sounds very interesting, and written from his point of view is intriguing. I will put it om my list to read. The subject matter of the book does sound pretty disturbing! I'm sold, reading this one sooner then later. I noticed it on a few top ten lists. Wow, this is the first I've heard of this book. I'm putting it on my Goodreads TBR list right now. Thanks for the review! I already wanted to read this. Now I want to more.